After a successful Steam Greenlight campaign, Pixel Federation has announced the release date for its episodic story-driven adventure game with RPG elements. Morning Men will launch on Steam on November 22, 2016. I love the style of it and it we could certainly use some more decent RPG games on Linux. I have it confirmed that the full release will include SteamOS/Linux. 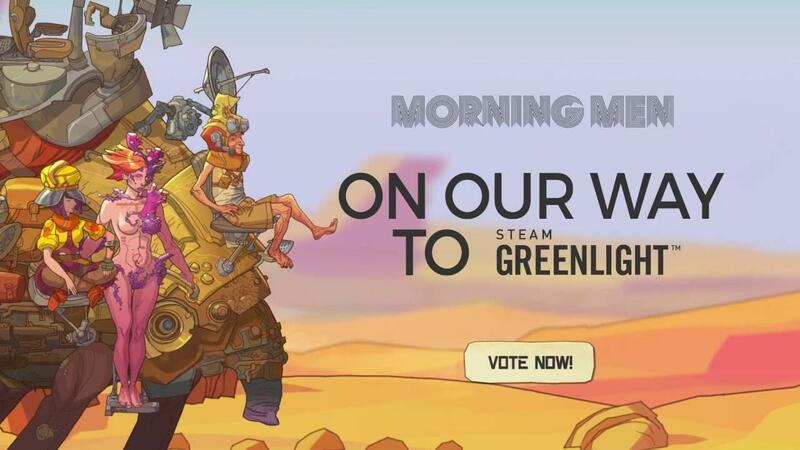 Morning Men blends an out-of-this-world story with point-and-click adventuring and turn-based JRPG-style combat. Each character has his or her own traits, which can be changed based on your decisions made throughout your adventure. Help, hurt, or even ruin one of your companions lives by either masterfully or carelessly picking your next narrative step. What do you think, will you pick up a copy? Looks pretty cool but they should work on that girl's voice acting, imho. I'd rather just read the text at this point. Looks good to me. Adding it to my 'keep an eye' list.